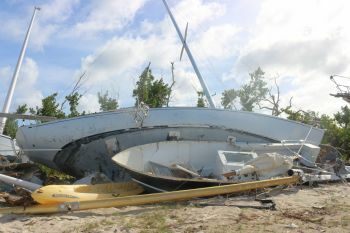 In March 2018, VINO had reported on the unsightly eyesore of the derelict vessels throughout the territory. 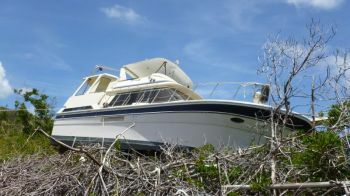 In the Marinas on Tortola and the sister islands, broken marina docks some filled with large holes, severely damaged and smashed yachts and other vessels sunk and filled with water while many barges were left in mangroves, some up on land and others just the same place that both Hurricanes Irma and Maria placed them in September of 2017. 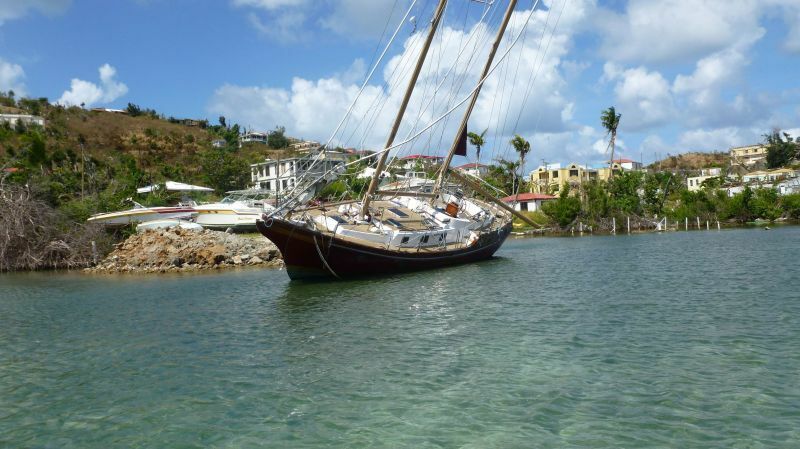 The ravages of Hurricanes Irma and Maria was seen and felt all over the Virgin Islands (VI) even as the territory has long been known for being the sailing capital of the world. 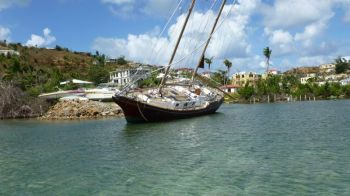 Many of the boats and other abandoned vessels also posed an environmental challenge as oil from these crafts can leak at sea, causing serious issues for the VI's already fragile environment and eco-system. Captain Bala stated that pending clean-up efforts, notices were affixed to about 300 vessels around the Territory in August 2018, that appeared to be derelicts and abandoned. The list of vessels identified was also published in The Gazette. The Disaster Management (Amendment) Act 2018 allows Government Authorities to declare vessels as derelicts, shipwrecked or otherwise abandoned by owners following the 2017 hurricanes. This legislation also provide safeguards to owners of these vessels. The Government has determined that over 300 vessels have become derelict, abandoned or otherwise shipwrecked throughout the Territory. Notices were affixed on these vessels where possible and a list published in newspapers and the Gazette with owners urged to check their vessels, the local newspapers and the Gazette for notices from the Government. They should put the remaining unclaimed boats up for auction. I would love to have one in my yard as a dining area and topic of conversation. I am in 100% support of Captain Bala and his team at VISR. Let’s hope the politics that have kept Sopers Hole a dumping ground for derelict vehicles and boats for over 35 years a thing of the past. The Sand Spit in Sopers Hole is the most valuable land in the BVI and tourist arriving into West End are greeted by a dump........SHAME on the governments of various administrations, the Malones and the Turnbulls. Maybe do the same for the heap of junk ca s piled up in the west End of Cane Garden Bay.